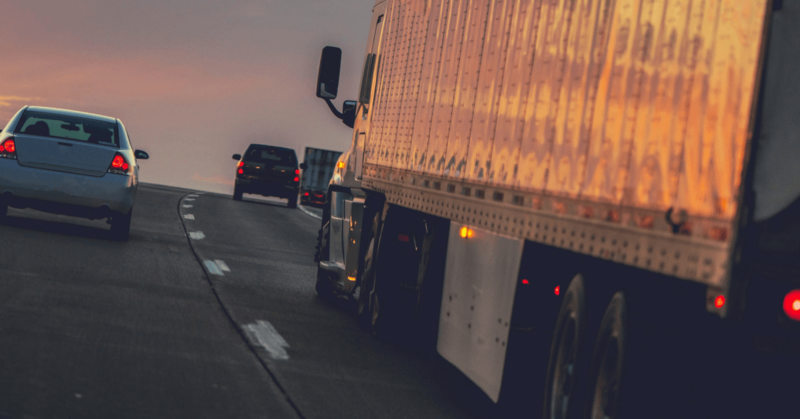 An accident reconstruction has an important role in the litigation and trial of a truck accident case, from the discovery deposition of the truck driver, to the closing argument before a jury. Our Michigan Auto Law trial attorney Tom James recently presented on truck accident reconstruction for injury lawyers at a Continuing Legal Education national webinar by Stafford Publications. During the seminar, Tom and a panel of engineers and accident reconstruction experts examined the role of accident reconstruction in investigating and proving liability in trucking accident claims. Tom reviewed best practices for attorneys in effectively using a reconstruction expert to maximize case value. Tom also outlined just what accident reconstruction is, why it’s important to use it and when. Below is a summary from Tom, that will hopefully help attorneys when digging into this integral part of trial preparation. What is accident reconstruction in trucking litigation? Accident reconstruction involves investigating and analyzing the circumstances surrounding a motor vehicle or trucking accident and drawing conclusions about the causes and contributing factors in the collision. Personal injury attorneys frequently hire accident reconstruction experts to evaluate the accident scene from a physics and engineering perspective, including calculating the speed the vehicles were traveling and determining the condition of the road at the time of the collision. The reconstructionists’ findings can directly impact the value of a case, especially when negligence is being disputed. The techniques involved apply to all crash situations including those involving pedestrians, bicycles, ATVs, snowmobiles, cars, trucks, semi-trailers, motorcycles, etc. Here, we’re focusing on cases involving commercial motor vehicles. Attorneys using accident reconstruction in trucking injury cases must confront a number of legal questions, such as who owns the accident scene data, how to legally obtain it, how to ensure the authenticity and admissibility of the data, and how to withstand challenges to the qualifications of the reconstruction expert. Why use accident reconstruction at all? Police reports aren’t generally admissible and law enforcement agencies don’t reconstruct crashes for civil personal injury cases. But plaintiff attorneys still have the burden of proof, and an accident reconstructionists can assist with proving accident causation, including issues surrounding interaction with road, driver and vehicle performance and environmental issues. They can also determine if other experts might be necessary to account for the at-fault driver’s behavior or the plaintiff’s behavior, such as human factors or conspicuity. In addition, technology is changing rapidly and a competent accident reconstructionist will know and be able to apply current technology (such as event data recorders) to your situation. Your accident reconstructionist will also be able to balance the opposing defendant’s accident reconstructionist when the trucking company is denying fault. The decision by an attorney to use an accident reconstructionist must be made quickly because evidence has a tendency to disappear or change. This is especially true in trucking cases. Why? Trucking companies are required by law to retain important documents after a crash, but after the retention period has passed, the documents will likely be destroyed. And in many cases, this is all perfectly legal. For instance, according to Federal Motor Carrier Safety Administration regulations, truck driver log books containing hours of service records must be retained for six months. If a fatigued trucker who drove beyond his hours of service causes a serious wreck, you can bet the crucial records will be destroyed exactly six months after the accident by the motor carrier’s defense lawyers — if the accident victim has not retained a lawyer who has submitted a legal order to preserve the records in time. There’s little to no police investigation. The defendant hires an accident reconstructionist in a “simple” case. Something just isn’t right about the parties’ recollection of the collision. Next week, I’ll continue on this topic with some tips on how to use an accident reconstructionist.